Go to JPL Press Release to learn more! The Cassini Synthetic Aperture Radar (SAR) has been acquiring images of Titan's surface since October 2004. 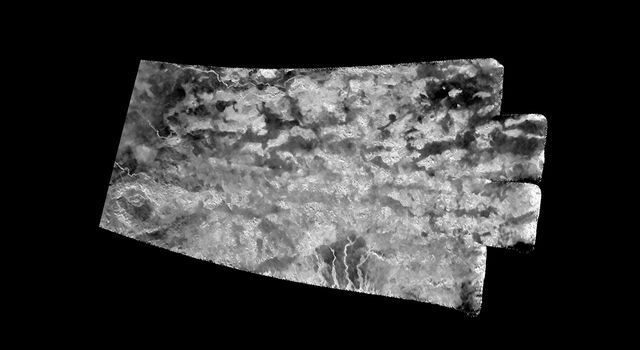 Radar data suffer from speckle noise hindering interpretation of small-scale features and comparison of reimaged regions for topography derivation and potential detection. 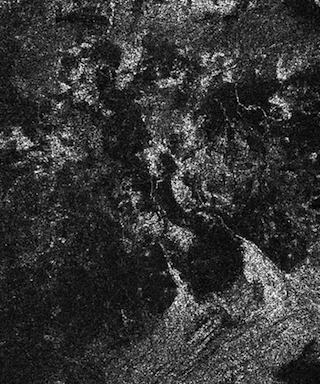 By combining a state of the art denoising algorithm with mapping and quantitative measurements we greatly offer previously unattainable insights and introducing the denoising version of the Cassini SAR named NLDSAR. Lucas et al., Insights into Titan's geology and hydrology based on enhanced image processing of Cassini RADAR data Journal of Geophys. Research, doi:10.1002/2013JE004584, 2014.